Events - Andertons Music Co. Throughout the year we host events that cater to all musicians no matter what instrument you might play. Most commonly we host masterclass or clinic-style events with famous musicians from all over the world including some big names like Eric Johnson, Larry Carlton and Guthrie Govan. We have some great artists coming to Guildford to host events where you can see some of their amazing skills up close and have the chance to ask some questions about their approach to music and their gear! Get your tickets below and join us with these legends. 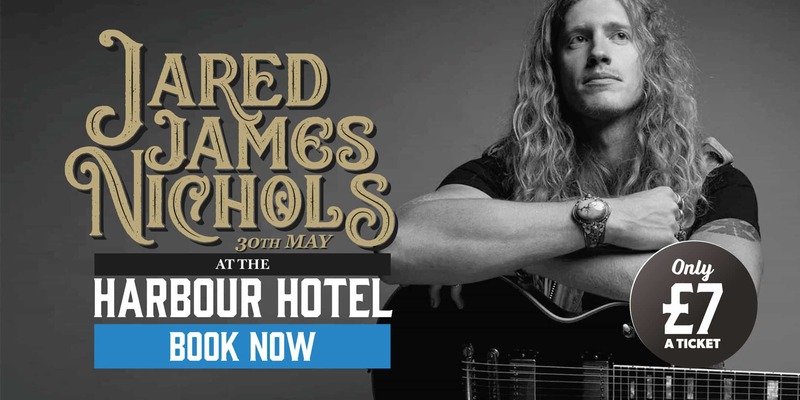 Known for his soaring blues-rock sound and electrifying performances, Jared James Nichols is undoubtedly one of the hottest guitarists on the scene. We’re thrilled to be able to welcome him back to Guildford for a night of scorching tones and inspiring tales from the frontline of rock ‘n’ roll. The event will be taking place at the Harbour Hotel in Guildford; doors will be opening at 7:30pm and the event will begin at 8:00pm. Prolific blues guitarist Eric Gales is on his way to Andertons! 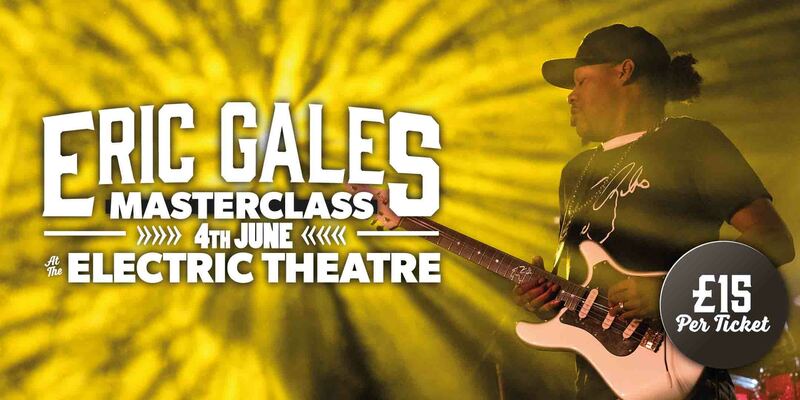 The Memphis-born superstar will be hosting a masterclass at the Electric Theatre in Guildford on June 4th 2019. Discovered as a child prodigy, Eric Gales is an encapsulating performer known for his blend of incredible technical ability and unpredictability across the fretboard. He oozes class and effortlessness. World renowned players like Joe Bonamassa, Dave Navarro, Mark Tremonti and Carlos Santana have hailed him as one of the best guitarists in the world. Praise doesn’t come much higher than that. Make sure you don’t miss this exclusive Guildford performance and pick up a few tricks and tips on the way. You’ll witness his playing first-hand and hear him talk about his approach to the instrument, playing style, experience in the music industry and plenty more. Check out Gales’ latest critically-acclaimed release, The Bookends, for a taste of his incredible rock and roll guitarwork. 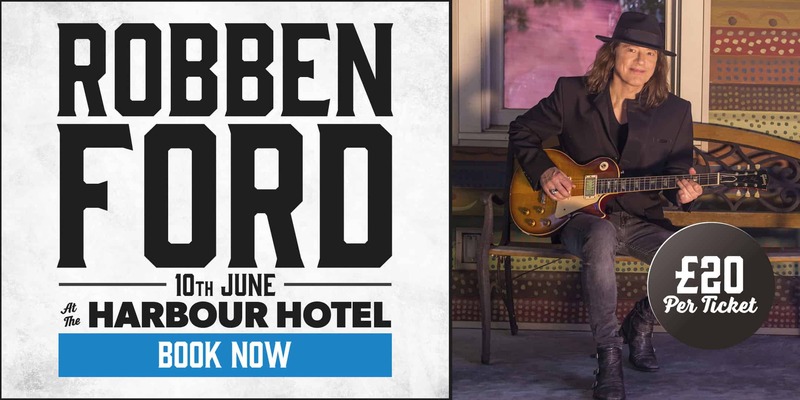 Five-time Grammy-nominated jazz-blues supremo Robben Ford is making a return to Guildford with the Robben Ford band! Ford is known as one of the most prolific, diverse guitarists in the business. With an impressive combined discography of 60+ albums, he’s also one of the hardest working. As well as being a household name in guitar music for the past few decades, he’s also performed and collaborated with some of the biggest artists in the world, including Miles Davis, Joni Mitchell, Bob Dylan, George Harrison, Brad Paisley and many, many more. Don’t miss your chance to catch Ford & his band at this special masterclass event in Guildford. The event will be taking place at the Harbour Hotel in Guildford; doors will be opening at 7:30pm and the event will begin at 8:00pm. Who We’ve Had At Andertons Music Co.
Alongside those brand events we’ve had some amazing musicians in the store to host clinics and masterclasses. These artists come down and play a few of their famous songs and then teach some of their tricks of the trade. We’ve had some of the best guitarists, bassists and drummers in the world teach us about their approach to music. Often, they’ll go through their history of being a musician and how they’ve come to learn what they know as well as sharing that knowledge with you. At the end of the show a microphone is passed around the room and you can ask the artists any burning questions you might have. We've hosted events with representatives from some of the biggest brands in the industry such as Gibson, Orange and Native Instruments. These events are free and give you the opportunity to come down and ask questions about your next purchase or to just learn about your favourite brands. Our in-store events are generally held during the day so that you’re not pressed for time when trying the gear out, but we do occasionally host evening brand events. The Taylor Roadshow – Taylor Guitars come down to the store annually to run through all of their models and break down each guitar, series by series. After the show, you have the opportunity to ask questions and try the newest guitars out for yourself. Craig Blundell Demonstrates Roland TD-50K – Craig Blundell is a phenomenal drummer and came down to the store to show us how to get the most out of a TD-50K drum kit. We weren’t only treated some amazing drumming but we all got a chance to try out the Roland Kit before it was even released!